Wind: Steady, moderate, southeast, diminishing in afternoon. 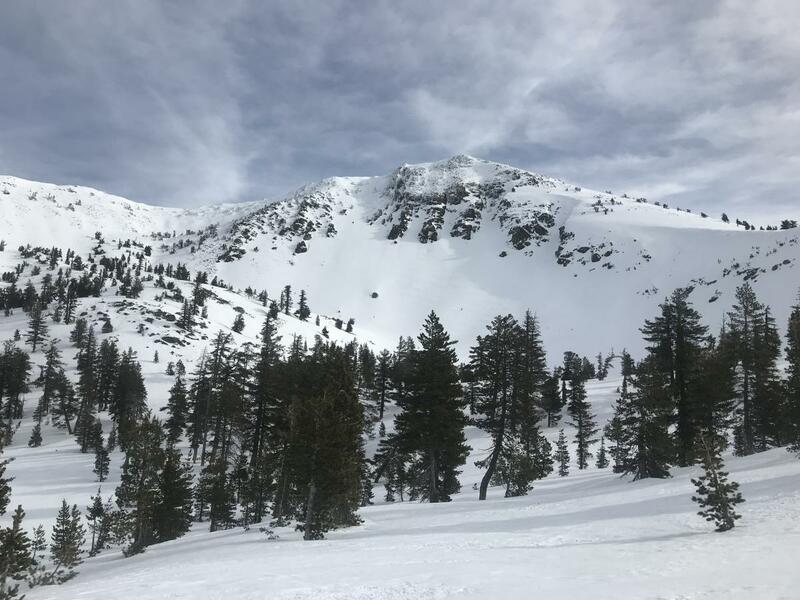 Snow type: Icy chicken heads along ridgelines, wind packed powder, corn snow, breakable crust. Red Flags/Other: Minor rime ice fall / no avalanches, new or old, observed. Rain runnels fade above 7,000 feet. Good coverage over creek crossings. From afar, the one and only, Mount Shasta! Steady, warm breeze, 10-20 mph, southeast until mid-day, diminishing.